KATHMANDU, March 25: Co-chairman of the ruling Nepal Communist Party Pushpa Kamal Dahal held a meeting with United States Principal Deputy Assistant Secretary Alice G. Wells, on Monday. The meeting between Dahal and the senior US diplomat, who looks after the Bureau of South and Central Asian Affairs at the State Department, comes nearly two months after Dahal strongly criticized the United States stance on the Venezuelan political crisis. The statement also invited diplomatic tension between Nepal and the United States. Dahal, who has been in the United States for the past one week in course of his wife Sita Dahal's treatment, held the meeting with US official in a bid to mend fences, according to sources. 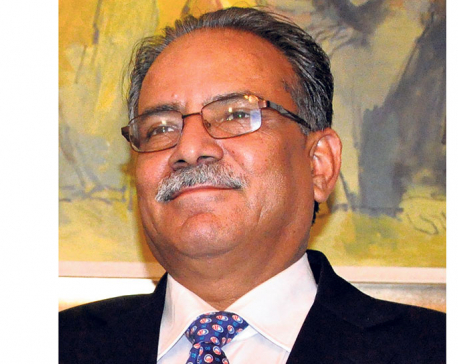 It is learnt that Dahal clarified his position on the Venezuelan political crisis. Dahal's daughter and his private secretariat posted a picture on Facebook after the meeting. Reacting to the political development in the oil-rich country, Dahal had described the act of “US and its allies” an “unacceptable intrusion in internal affairs and an attempt of imperialist coup” in his statement. Immediately after Dahal issued the statement, the US Embassy in Nepal asked the government to make clear its official position on the matter. The US Department of State had separately summoned Nepal’s ambassador to Washington DC Arjun Karki for clarification. Responding to US concerns, the Ministry of Foreign Affairs issued a statement stressing the need for resolving the political crisis in Venezuela without “external interference”, echoing Dahal’s stance, albeit in a toned-down form. Dahal, the wife of NCP co-chairman Dahal, was admitted to Johns Hopkins Hospital in Baltimore in the United States on March 20. Dahal and his wife Sita along with their daughter Ganga and son-in-law flew for the US on Sunday evening for Sita’s treatment. Sita has been battling against Progressive Supranuclear Palsy for the past few years. 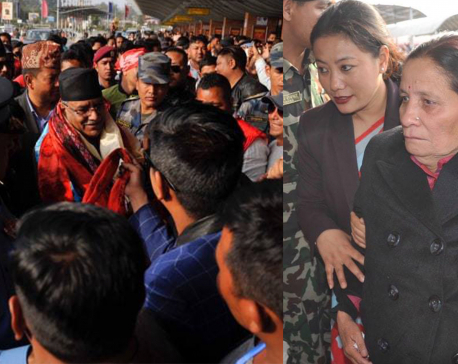 Daughter Ganga and son-in-law Jeevan Acharya are accompanying the Dahal couple during their visit. Her health started deteriorating following the sudden death of her only son Prakash in November, 2017 from a cardiac arrest. Doctors have diagnosed her with Parkinson’s and other mental and physical illnesses.